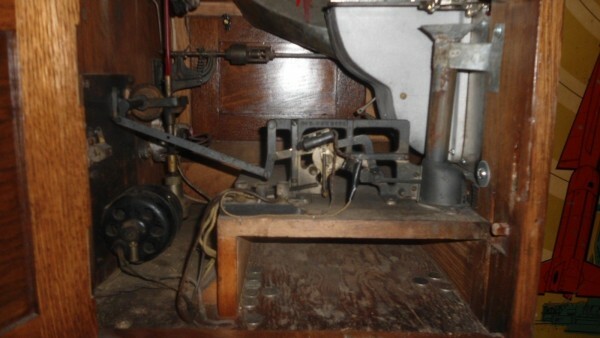 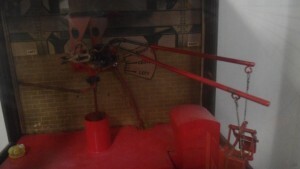 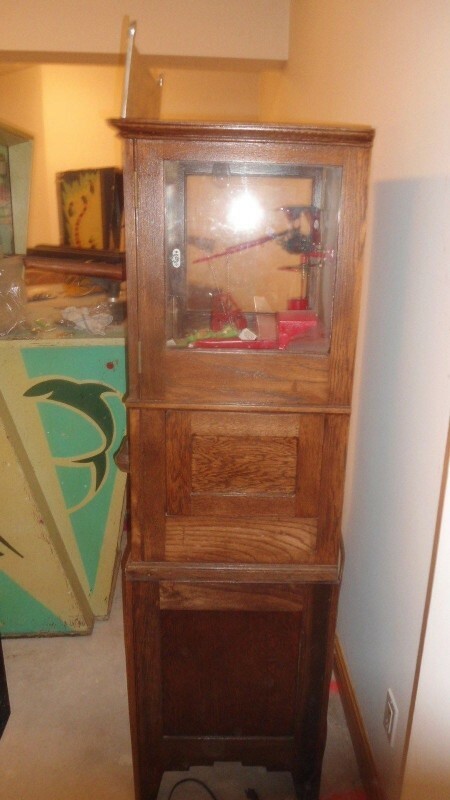 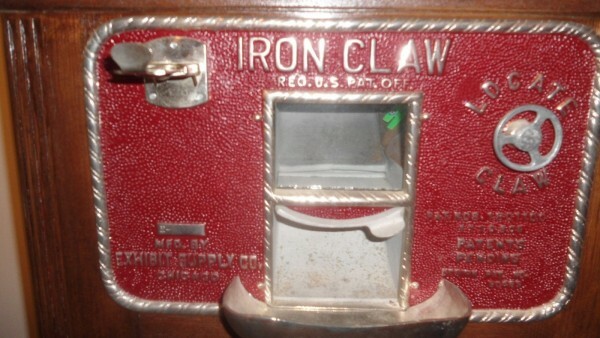 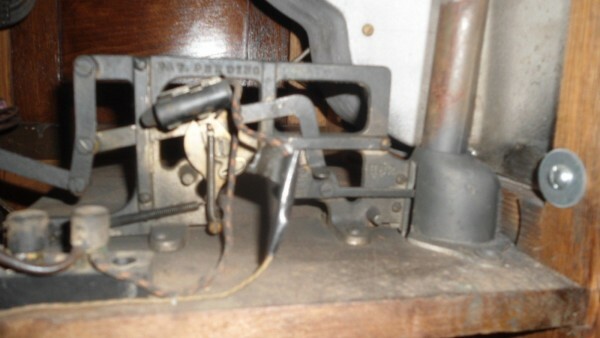 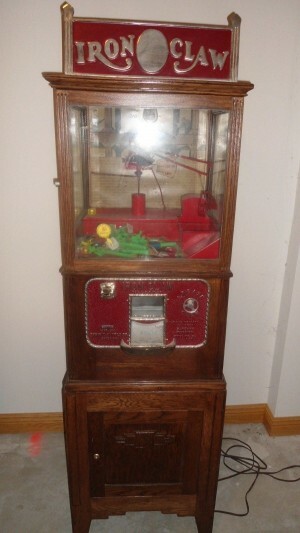 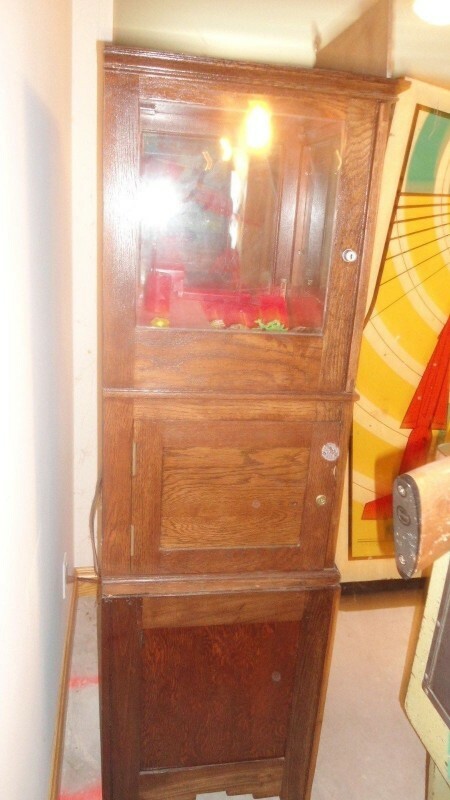 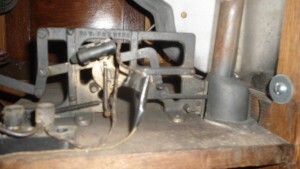 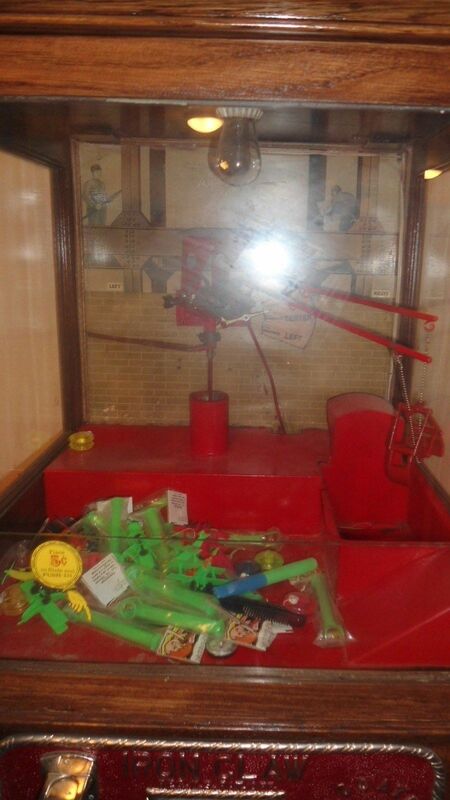 Antique restored Exhibit Supply coin operated penny arcade crane in as found working condition. 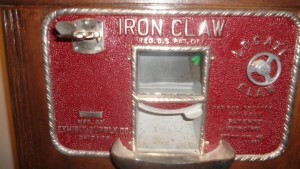 Top cast iron sign is a reproduction as are the locks. 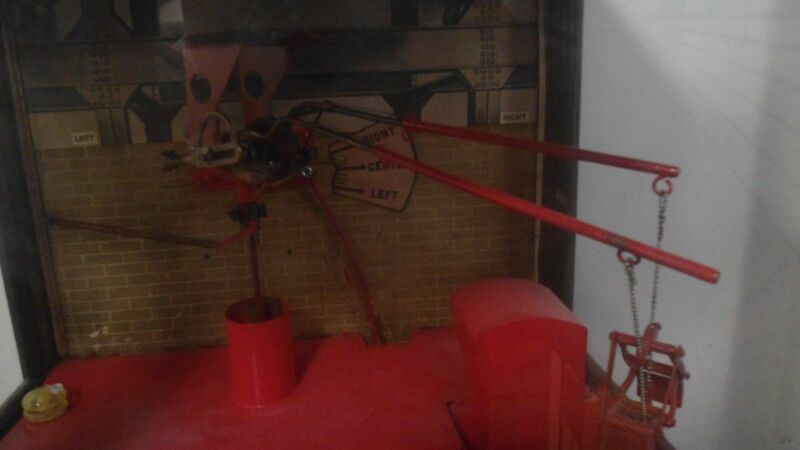 Crane bucket will need some adjustment when set in place. Nice coin operated game…………..